Ready to party, Taupo-style? This destination brings together some of the finest scenery, activities, and nightlife to be found anywhere in New Zealand, and you are about to experience it in all it’s white-knuckle glory! 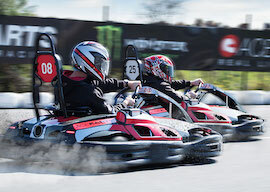 Punch the gas in an extreme go-kart session, with all the boys behind you, in an all-out race to the checkered flag! 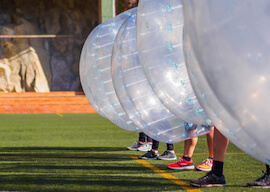 After that, you are getting suited up in an inflatable ball, to try out the growing sport of bubble soccer. Don’t stress the bruises – falling is half the fun! Finally, as darkness falls, you are headed to a tasty group dinner, with an accompanying bar tab, to fuel up for a night at the gentleman’s club. Not a bad look, we reckon! You will be staying close to the action on this night, right in the thick of the fun. This budget hostel comes complete with incredible views of Lake Taupo, some soft beds, and all the amenities you need to rest up. 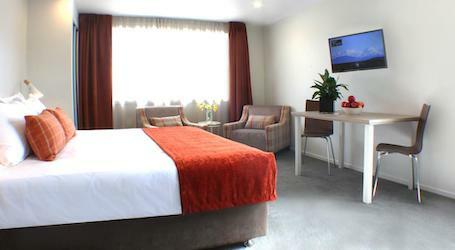 And with an onsite bar and cafe, you won’t need to go far to refuel! Get geared up – you are headed out on the track to do battle! 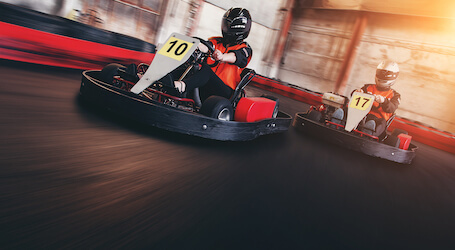 At this custom-designed track, you will be racing in a set of Sodi 390cc karts – where you will set a blistering pace, lap on lap! When the light goes green, stomp it. It is a race to the finish, for glory, for honour, and for a night’s worth of bragging rights! Everyone loves a bit of soccer – but as we hit our 30s, those long-loved slide tackles might start to leave marks on us. 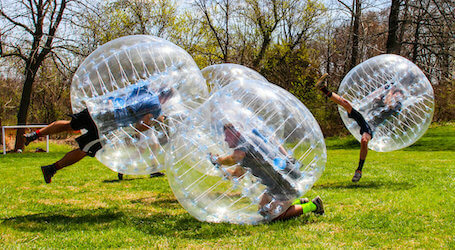 Luckily, Bubble Soccer is how to do it while staying healthy! These suits will slow even the toughest fall, and half the fun is bowling over your mates with a well-timed bump. Suit up! What kind of party doesn’t enjoy the odd tipple? Have the slowest man on the track bring you a round, and perhaps cheers to the man of the hour. 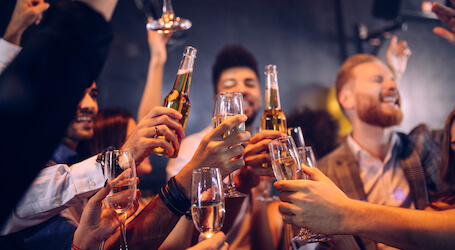 This well-renowned venue brings some lip-smacking brews to the fore, and you will be enjoying them with the whole crew at your side. Salut! 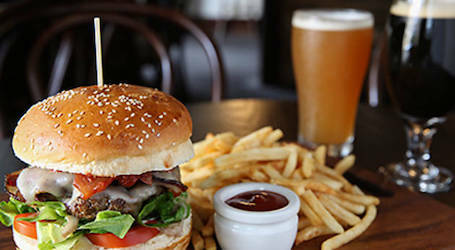 Organising a group meal can be painful, but Wicked Bucks has a handle on a great gastro pub – capable of feeding all of you! 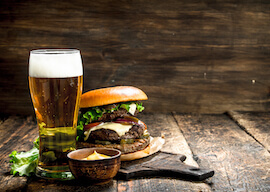 Enjoy a delicious meal from their big menu and fuel up, pint in hand, for what promises to be a solid ripper of a night on the town. It is a well-known fact that no Bucks night is complete without a bit of skin. Those are the rules, we didn’t make them up! Luckily for you, Wicked Bucks have done the hard work and searched out one of the very finest gentleman’s club to be found anywhere! With tunes bumping, and some unforgettable views, you can toast to the good times, and to the end of your Buck’s bachelor days!